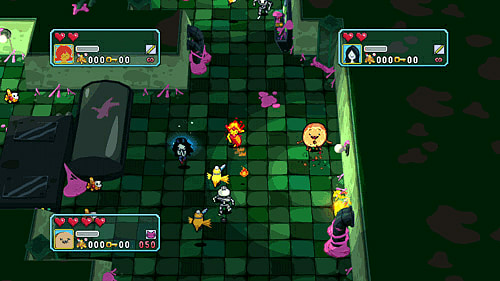 The adventure begins in the Land of Ooo as players help Princess Bubblegum save the Candy Kingdom by exploring the mysteries surrounding a massive Secret Royal Dungeon. 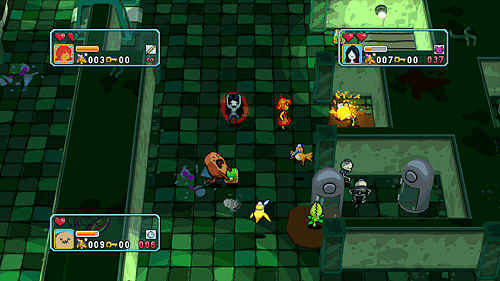 In Adventure Time: Explore the Dungeon Because I Don't Know!, play as multiple fan favourite characters from the show with up to four players, including Finn, Jake, Marceline, Ice King and more and showcase your best attack moves with special abilities and skills to defeat baddies throughout the dungeon. 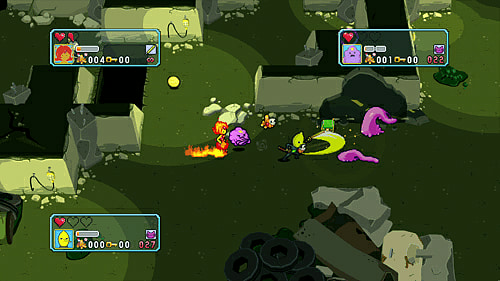 Play as many of your favourite Adventure Time characters - Experience the radical gun od Adventure Time by playing fan favourite characters Finn, Jake, Marceline, Cinnamon Dun and more, each with unique moves and an arsenal of creative attacks. 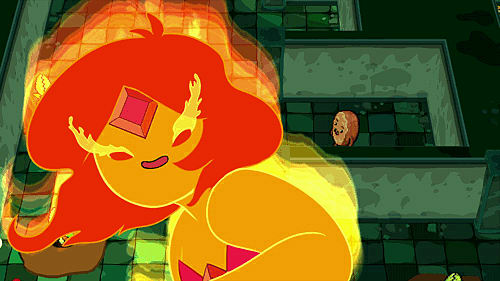 Investigate and Conquer the Secret Royal Dungeon - Help Princess Bubblegum and fight your way through 100 floors of a massive dungeon, avoiding treacherous hazards and defeating menacing enemies and bosses from the Adventure time show! 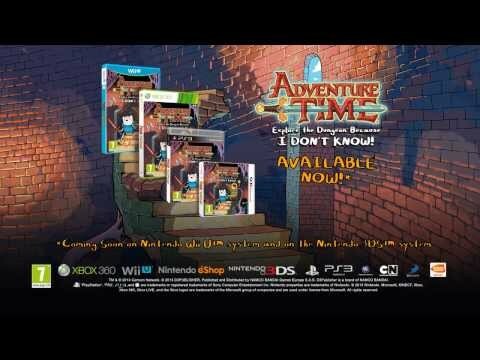 Brand new Storyline - Series creator Pendleton Ward teams up again with developer WayForward for the biggest Adventure Time experience yet in an offbeat, fun adventure for fans of all ages. Voiceovers from the Original TV Cast - For the first time, characters from the show come to life with voiceover provided by the award winning original TV cast. 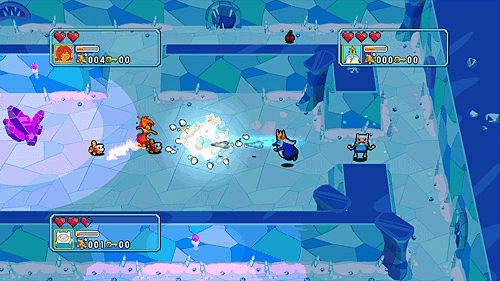 Grab your Friends for Multiplayer Fun - Play in single player or share the experience and fun of Adventure Time with your best buds in four player co-op multiplayer! 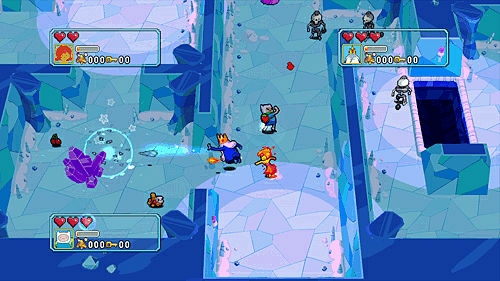 Become Stronger by Kicking Some Digital Bootays - Equip tokens for awesome ability boosts and arm your characters with Sub-Weapons to complement your attack against some of the most difficult enemies throughout the dungeon like Gunter's Kitten and Stormo, Ice King, and Gumball Guardians.